we, at Banks Lake Bible Church choose to support the following ministsries. 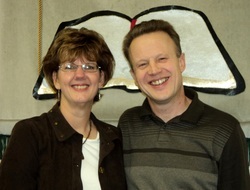 Jamie & Lisa serve with Wycliffe Bible Translators in Papua New Guinea. As a pilot, Jamie flies Wycliffe personnel and their PNG co-workers around the country. This enables them to do Bible translation, literacy, etc. more efficiently. Lisa has been involved in administrative support work, as well as working as an intern with some Wycliffe translators. She is involved in these activities as she is able, but her primary focus now is caring for their 4 kids. from the Missionary Training center of Ethnos360*. After a post-graduate course in New Testament Greek, she moved back to Washington. Abby has a ministry position waiting for her at Ethnos360 Bible Institute equipping young people to better serve Jesus Christ our Savior. partner with her in prayer and finances. If you are interested in learning more about her ministry please contact her! Evan and Libby are recent graduates from Ethnos360* Missionary Training. They are staying on for postgraduate coursework in Linguistics. This coursework will be finished in December 2018. They plan to serve the Lord in Papua New Guinea as soon as the Lord makes it possible! Reaching school children with the gospel. Their main ministry is through Good News Clubs (during school year) and Back Yard Bible Clubs (in the summer time) and Story Barns. Children: Silas, Mabel, and Harry. New Tribes Bible Institute in Jackson, MI. Andrew is part of the Dean's department -mentoring students toward maturity . Sarah is working in Child Care - enabling student moms to attend classes. with New Tribes Mission in Brazil. Pastored Wenatchee Valley Bible Church, (a mixed-ethnic church) from 2005-2013. Currently in transition to a new ministry. Dan and Donna are part of the Northwest Independent Church Extention, which is an affiliate of the IFCA. 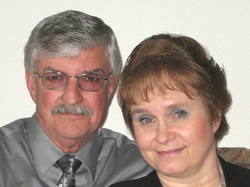 Please pray for them and Donna's ongoing health concerns (she has MS). Serving at Mountainside Missionary Training Center in Libby, MT, with International Messangers. Preparing missionaries to minister in Romania. 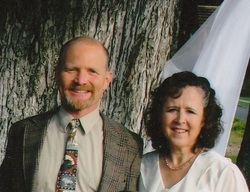 Formerly missionaries to Bolivia with New Tribes Mission, in 1996 Mike and Gwen became NTM Representatives in the Northwest. Mike travels extensively, speaking in conferences, churches, camps and colleges. His passion is to motivate others to serve Christ, enthusiastically challenging all, young and old, to be involved in reaching the lost world for Christ. 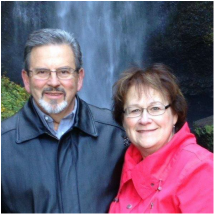 The mission of NICE is to start and serve independent, Bible preaching churches throughout the Northwest. They have men strategically located to assist in starting new churches, finding a pastor or interim pastor for existing churches, pulpit supply, leadership training, outreach ministries, Bible conferences, as well as counsel and encouragement. Care Net has a network of more than 1,100 pregnancy centers that offer hope to women facing unplanned pregnancies by providing practical help and emotional support. In the words of TIME magazine, these pregnancy centers are the "kind, calm, nonjudgmental" face of the pro-life movement. Free pregnancy tests, ultrasounds, abortion information, parenting classes, and material assistance are just some of the many services offered that empower women to choose life.